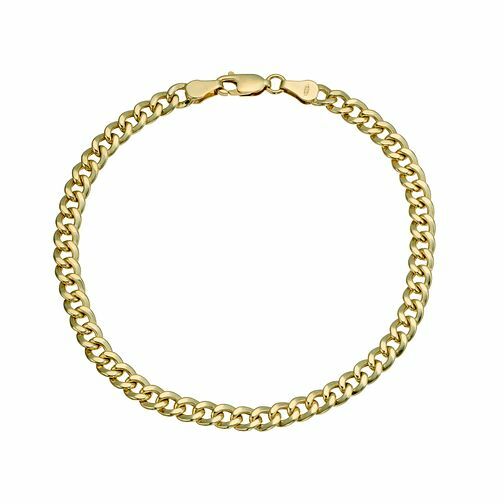 A classic curb bracelet by Together, made from bonded silver and 9ct gold. A timeless piece which can be worn alone or layered for stylish everyday wear. Chain measures 8". Together Silver & 9ct Bonded Gold Curb 8" Bracelet is rated 4.3 out of 5 by 9. Rated 4 out of 5 by Anonymous from This product is a great gift for him This bracelet is a great gift for him, its a great quality and comes very well presented. It is a little lighter and thinner when compared to the picture but my other half loves it!